Bartolone urged Hollande, Valls and former economy minister Emmanuel Macron to all stand, saying the party would benefit from a large field of candidates. Macron is standing anyway as an independent. French President Francois Hollande and Prime Minister Manuel Valls should contest a Socialist primary election to pick the party’s candidate for next year’s presidential race, a leading Socialist said on Saturday. The comments from Claude Bartolone, who heads France’s National Assembly lower house of parliament, contrast with messages from the Valls camp in past months which have said he would not fight Hollande for the Socialist ticket and would only stand if his boss did not. 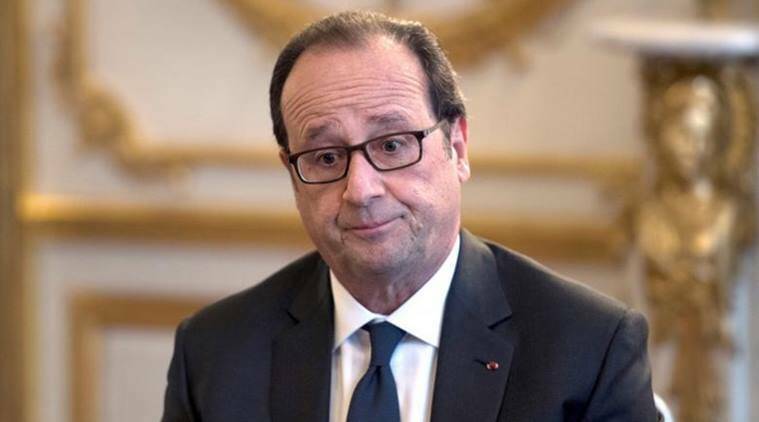 Hollande’s popularity ratings are low. They fell to four percent in one opinion poll, and speculation over whether the unpopular leader will run or not is centre-stage as the opposition centre-right’s own presidential primary contest reaches its climax this weekend. Valls has meanwhile been giving interviews and making prominent speeches on a wide range of subjects, increasing speculation that he is preparing for a shot at next year’s April presidential race. The centre-right Les Republicains party will choose its candidate on Sunday, with former prime minister Francois Fillon in pole position. The Socialist primaries take place in January. Bartolone said he wanted as many candidates as possible in the Socialist party race. He urged Hollande, Valls and former economy minister Emmanuel Macron to all stand, saying the party would benefit from a large field of candidates. Macron is standing anyway as an independent. “I want Valls to stand in the primaries, and I want Hollande to stand in the primaries,” Bartolone told reporters as he arrived at a left-wing political gathering north of Paris. “I would prefer it if they both stood in the primaries, rather than one of them say ‘That’s it, I’m out, so I’m moving away from the campaign, I’m moving away from the Socialists, I’m moving away from what the government is doing’,” he added. The Socialist primaries battle has exposed divisions in the party, with some urging Hollande not to stand while others have been more circumspect. Hollande, who is expected to say near the end of the first week of December if he intends to run for re-election, got a boost this week when data showed France’s jobless total had eased back slightly in October to a two-year low. However, the French economy remains sluggish and attacks by Islamist militants, including one in Paris in November 2015 that killed 130 people, have also damaged Hollande’s ratings. Current opinion polls show any Socialist candidate would get knocked out of the first round in next year’s election, with the Les Republicains candidate seen as likely to beat the far-right Front National in the final vote. But polls have been getting it wrong this year. After Britain’s referendum decision to exit the European Union and the election of Donald Trump as US president, Fillon counfounded the polls with a thumping win in the first round of the Les Republicains party primaries.